Nine days in Ecuador are nine days to flip your view of reality upside down. I decided to go on a mission trip when a friend invited me. She was a candidate of the Home of the Mother, an order of sisters and brothers I had met during my semester in Rome. 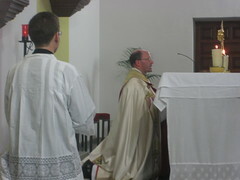 The Servant Priests and Brothers of the Home of the Mother have carried out another Eucharistic Mission. This time it was held in Valencia, Spain. It took place at Sts. 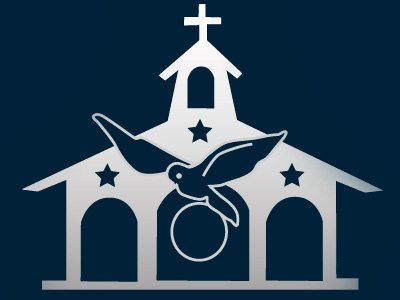 Dionysius and Pancracius Parish, where a community of Servant Brothers live and work. 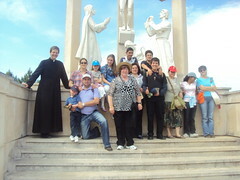 A group of about 20 people started off from Madrid to Fatima, where there is a Marian Shrine in Portugal, together with Fr. Henry (the ¨pastor of the flock¨) and Nicholas (a candidate in the Servant Brothers). We were very excited and we wanted to both show our love for Our Mother Mary and to receive her love as well. 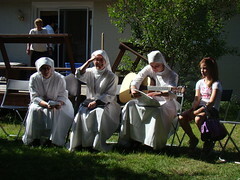 On Saturday, May 19th 2012, four Servant Sisters of the Home of the Mother embarked on a journey towards London, Canada where lay members of the Home of the Mother had organized a day retreat for the youth. 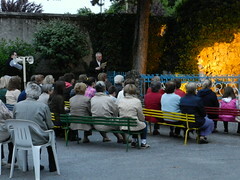 About 20 young people, between the ages of 9-22 attended. 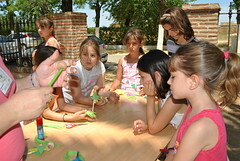 On Saturday, May 26th, the Servant Sisters of the Home of the Mother had a get-together for girls and teenagers at Our Lady of the Eagle Shrine in Guadaría, Seville (Spain). 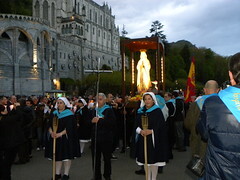 A group of young people, along with the community of Servant Sisters of the Home of the Mother in Mostoles (Madrid, Spain), went on a pilgrimage from April 28th-30th to visit the Marian Shrine in Lourdes, France. Every day – at 8:15 P.M. to be exact – the Servant Sisters in Brignano, Italy, open up their convent gates, which open up to the convent patio. A group of about 10 or 20 people enter through the gates. You can read the determination on their faces and observe their firm stride. Gather around our campfire as we tell the tale of the girls' trip up north where they refreshed their souls on a spiritual and physical journey. 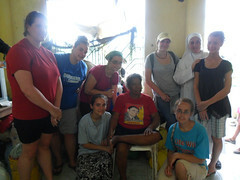 Each girl had a specific intention for the trip, praying and offering up their little sacrifices along the way. As both tribes lived this faith-filled excursion, they became open to the graces in order to become zealous apostles, spreading apache (peace) to everyone they encounter. 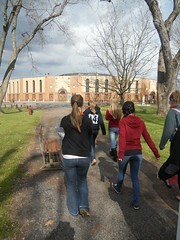 Last weekend, May 5th-6th, we had a get-together for 11 to 15-year-old girls at the Fr. Rovetta Center, where the Servant Sisters in Lumezzane, Italy live. A total of 11 girls came. We didn´t have a lot of time together, but it was intense nonetheless, and it impelled the girls to think of what it means to be a woman and to place themselves in the hands of God, ready for whatever He may want. 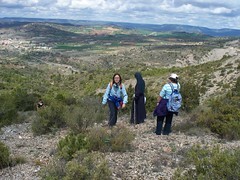 In Priego (Cuenca, Spain), the Servant Sisters of the Home of the Mother organized a hike up to the Degolla Cross on May 1st. It´s a cross that is located on the top of a mountain - one of the many found in Cuenca - in the town of Priego. There are many legends as to how the mountain got it´s name (which means ¨cutthroat¨), but the young people who joined us were excited about climbing to the top. A few of the girls in the town had been really excited about climbing up, and for months they had been asking us to take them; so we finally found a day to bring them on a hike. 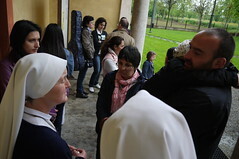 On May 1st, the Home of the Mother in Lumezzane, Italy, organized a pilgrimage to Our Lady of the Springs Shrine in Caravaggio (in the Province of Bergamo, Italy). We wanted to honor St. Joseph on his feast day and to ask for Our Lady´s help in a special way on the first day of the month dedicated in her honor.